To give an image a caption, highlight the image and click the "Insert/edit image" icon. 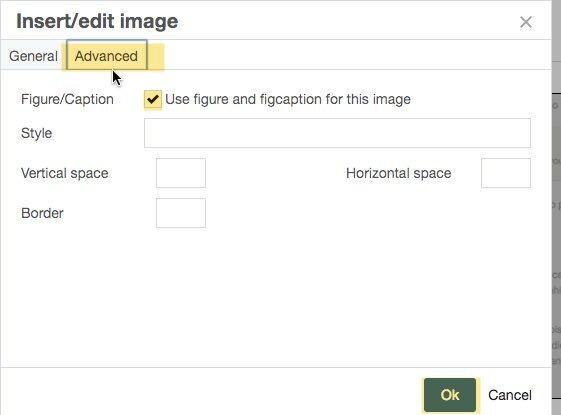 Then click the "Advanced" sub-menu item and check the box that says "Use figure and figcaption for this image"
Once you click "OK", the image will show and a small box appears at the bottom of the box. Simply type in your caption and click "Preview Draft" and "Submit" to save. Don't forget to publish!